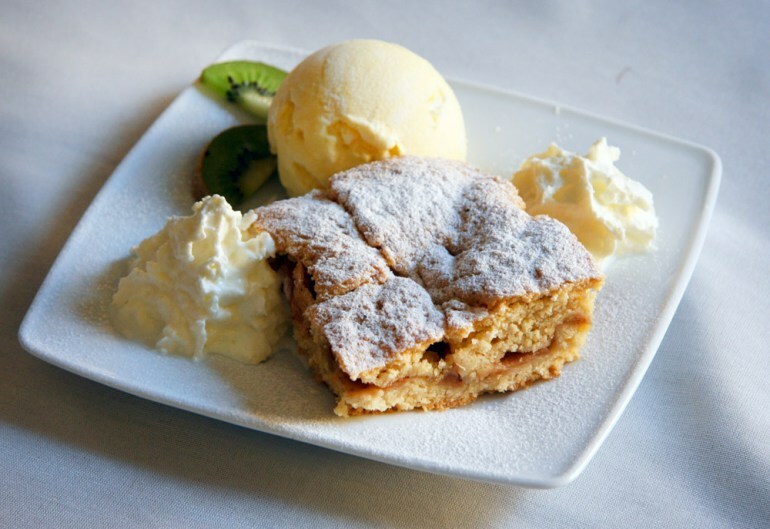 Over the course of centuries, Polish cuisine and its variety of desserts have kept on changing. The alterations were linked to different trends and the influence of other countries. Baroque-era desserts were laced with anise, saffron, cardamom, turmeric, vanilla, nutmeg and cloves instead of sugar. The Museum in Wilanów recently released an English language of the first print of Compendium Ferculorum – a cookbook by chef Czerniecki, the chief representative of this era's cuisine. It shows that the hits of those days were different cakes: sponge, French, almond, gingerbread, wheel cakes called kołacze, old-fashioned macaroons (differing in texture and taste from today's French macaroons), fruit cakes and cream horns called ulipki z pianą. In Poland, in a respectable household, a special woman is, by ancient custom, charged with the preparation of the coffee. She is called the coffee-maker; she brings from the city, or gets from the river barges, berries of the finest sort, and she knows secret ways of preparing the drink, which is black as coal, transparent as amber, fragrant as mocha, and thick as honey. 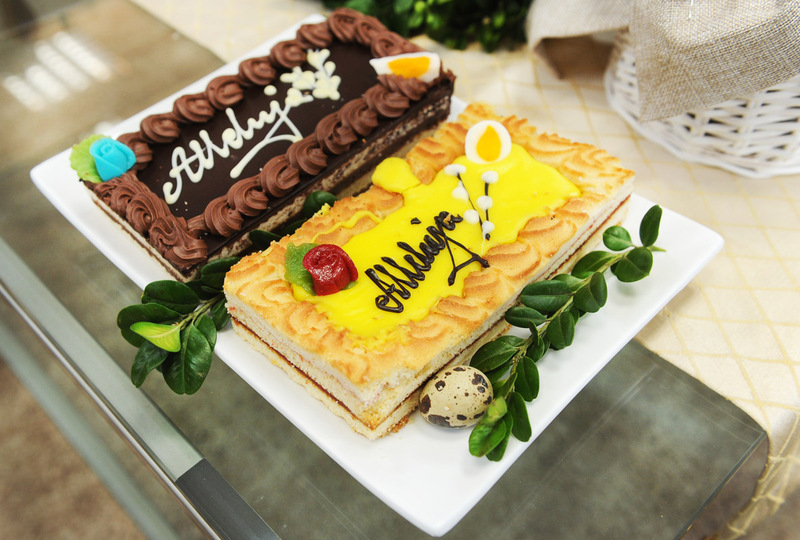 The golden age of cafés and pastry shops began in the 20th century and the inter-war period. Coffeeshop life flourished and the artistic and intellectual elite chose them as places of meeting and debate. Cafes were more than just meeting places. Following World War II some establishments were nationalised, others closed by the communist government. 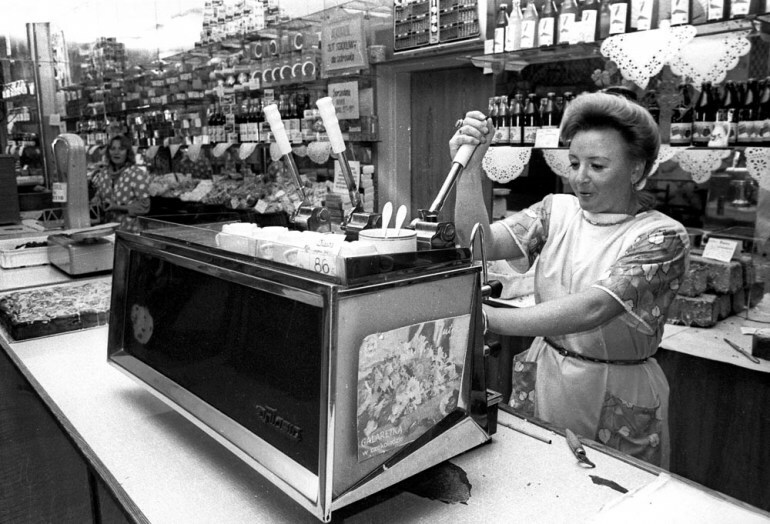 The confectioner's trade ceased to exist (explained here in an article on food under communism.) Only a handful of cafés, for example a legendary Krakow café, were restored to the descendants of their owners after 1989. Today we are witnessing a slow revival in Polish pastry-making. A few pastry shops are bringing old classics back to life. At the same time foreign sweets such as brownies and muffins, crème brulee and fondants have found a lasting place in cafés. Nevertheless, the average Pole remains more fond of traditional Polish pastries. Apple pie is a year-round favourite. There are hundreds of apple pie recipes. The Polish name szarlotka comes from the French, or if you please, the English word 'charlotte', which designates an 18th-century oven-baked thick mass of fruits under slices of bread. Invented by Marie Antoine Careme, the dessert came to Poland in the 19th century. Today, Polish apple pies usually have a half-crisp or crisp base. There are raisins, cinnamon and cloves inside. But everyone has their own favourite recipe. It's a regular on the dessert menus of cafés and restaurants, and is sometimes served warm with whipped cream. Polish cheesecake is made with twaróg, which resembles cottage cheese, quark or ricotta. Twaróg has been used for desserts for hundreds of years (while at the same time seemingly inspiring quantum physics). But sernik as we know it today is a recent invention, unlike Eastern European pascha (more below). Before sernik settled in for good, Poles ate a dessert called arkas, made of twaróg, sugar, rose water and saffron. Sources say that it was Jan III Sobieski's favourite treat. Sernik dates back to the 19th century, and there are many different ways of making it. 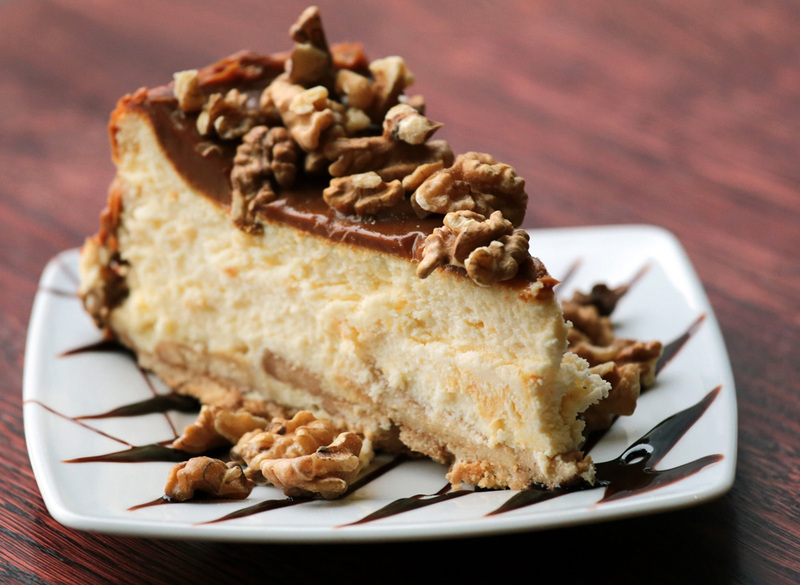 The major characteristic of Polish cheesecake is that it is baked. When it comes to the base, some choose one that is half-crispy, some omit it entirely. But everyone uses a lot of yolks. Today you will most often come across baked cheesecakes with chocolate glazing and vanilla aroma. Poles bake a lot with yeast. Old Polish recipes recommended making yeast dough with as many as 80 egg yolks. Babka drożdżowa is a tall, airy unkneaded yeast cake baked in a Bundt pan. As Nela Rubinstein, wife of world-famous pianist Arthur Rubinstein and cookbook author, says: 'It's one of those sweets that quickly disappears even if locked away in some cupboard'. And so her advice was to bake two instead of one. 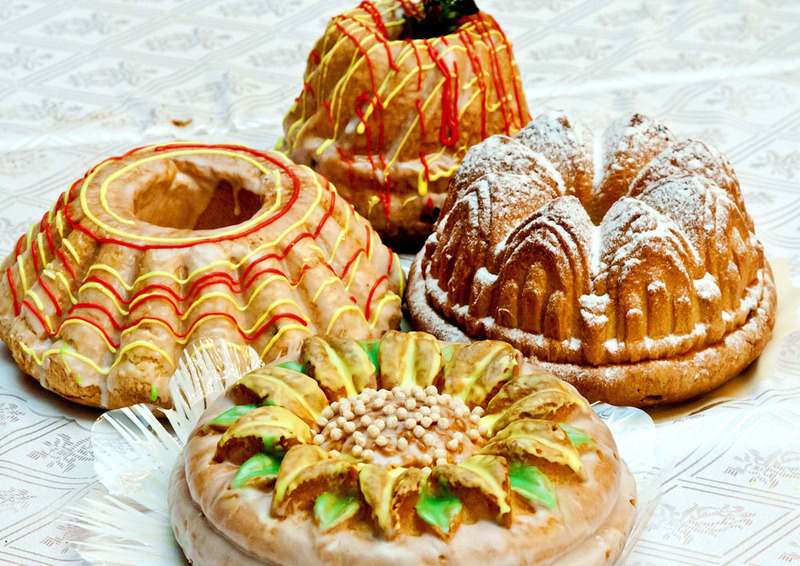 Babki are an Easter special, but there are many everyday cakes with yeast. 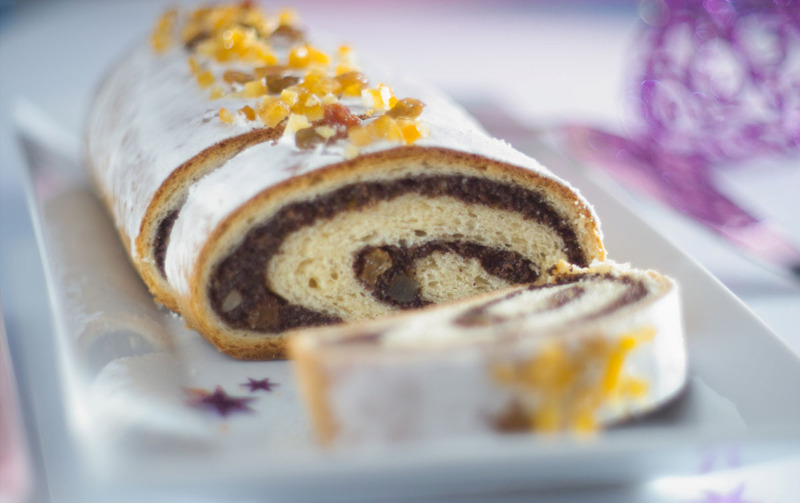 The French have their croissants and pains au chocolate, the Poles have drożdżówki – sweet buns with different fillings: poppy seeds, twaróg, pudding or seasonal fruit. Another speciality is the yeast poppy seed roll spun like a strudel – makowiec. In many homes, it's an inseparable part of Christmas Eve. Since we're already talking about Christmas, we have to mention kutia. Kutia is a sweet grain pudding, traditionally served in Ukraine, Belarus, Lithuania and Russia. For centuries, there would be no Christmas Eve without it for the aristocracy and small farmers. After World War II, when a lot of Poles emigrated from the former Eastern provinces of Poland, kutia spread across the country. It was once made with barley, now most often with wheat. The grain is mixed with ground and boiled poppy seeds, honey, nuts and raisins. Another well-known Christmas cake is the gingerbread cake. There are dozens of kinds but the most difficult to make is the traditional Polish one. The work has to be spread over several weeks because the dough (with copious amounts of honey) has to ferment in the cold. Typical for the Hanseatic cities, it was already present in Poland in the Middle Ages (Toruń was and still is particularly famous in this regard). Over the years the gingerbread cake's ingredients and baking procedures have barely changed. Today they are still made with cinnamon, ginger, nutmeg and cardamom. Chocolate icing is often poured on top and its layers are separated by raisins, nuts, or marmalade. A traditional Polish sauce called grey sauce (szary sos) has crumbled gingerbread cake inside, and is served with carp and other freshwater fish. 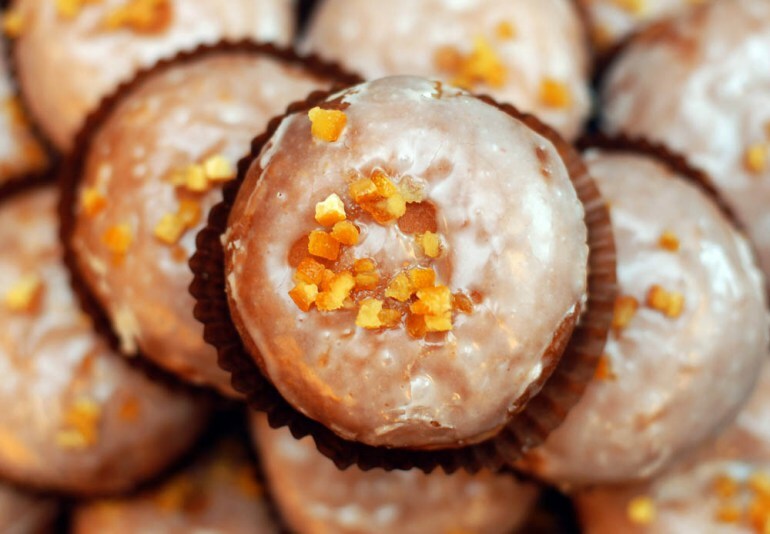 Pączki, or doughnuts, came to Poland from Arabic cuisine. They've been around for centuries but they were once hard as rocks. 'An old-fashioned pączek could be used to hit someone over the head. And today they are fluffy and light like a sponge which the wind could blow off your plate,' writes Father Jędrzej Kitowicz in an essay on the eating habits of the times of King Augustus III. Polish doughnuts are shaped like a flattened sphere and fried on deep oil, so they're not exactly diet food. There are a variety of fillings: rose marmalade, liqueur, pudding. They are to be found in pastry shops all year round but pączki are a symbol of the end of carnival season. On Fat Thursday, the last day before Lent, tens of millions are consumed. Another famed carnival treat is a sweet crisp pastry made out of ribbon-shaped dough, deep fried and sprinkled with powdered sugar. It's called either chrust (typical for Krakow) or faworki (in Warsaw) and can be loosely translated as crisp ribbons or angel wings. They were once made from different doughs: yeast, sponge or batter. Today the most widespread is battered cake obtained by pounding the dough with a wooden rolling pin, which makes it crisp. Nela Rubinstein sees the pastry as representative of Christmas even though 'faworki were made on the last day of carnival' she says, 'the Tuesday before Ash Wednesday was the last "fat" day before the forty-day Lent'. The crispy and delicate ribbons fill the shelves of pastry shops during carnival. Along with the aforementioned babka drożdżowa, the mazurek is an Easter classic. The flat shortbread can be made of different kinds of dough: half-crispy, sponge, marzipan, or waffles. The mazurek has been an Easter symbol since the 19th century. The top of the cake is filled or covered in sweet glazing, then decorated. In some households pascha is served instead. This tasty dessert is made of twaróg, yolks, raisins and nuts, and resembles American cheesecakes. Pascha became popular thanks to the former Eastern provinces of Poland. The cherry on the top of this sweet review is kremówka or napoleonka – the name preferred in Warsaw. No pastry shop leaves it out from its offerings. This sweet indulgence originated in France. 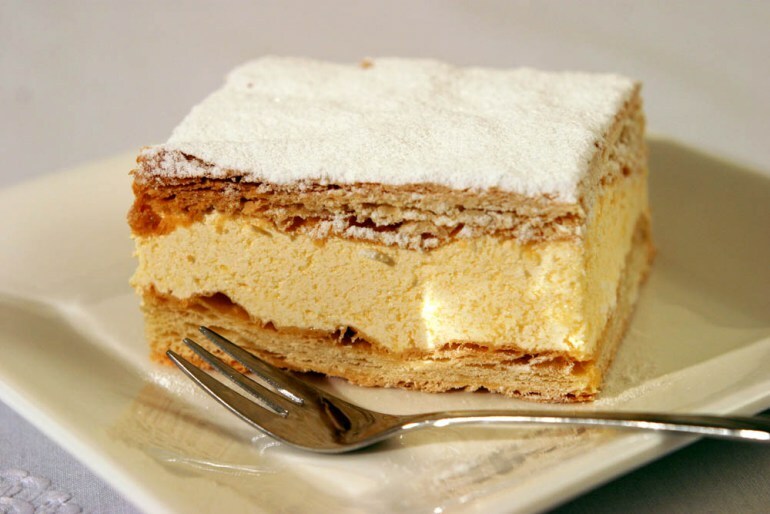 The Polish version is a cousin of the mille-feuille. In Poland, the puff pastry layers are separated by whipped cream, sweet cream, pudding or meringue (made of egg whites), and the top is sprinkled with powdered sugar or covered in icing. Even after many years in the Vatican, John Paul II always talked about the kremówki from his home town Wadowice.